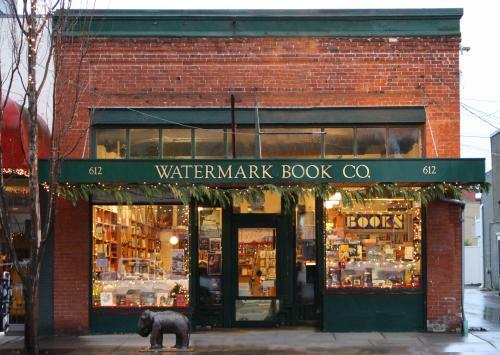 Anacortes is not merely a town of readers. It's also home to a number of authors, whose latest books appear below. Some authors have their own websites. Click on the links for further information, or on the pictures of the books. THE THREE EMPERORS, by William Dietrich (Harper, $25.99). Winner of a Pulitzer prize for his non-fiction writing, this is the seventh installment in Bill's series of fictional Napoleonic-era adventures featuring the American swashbuckler Ethan Gage. In this installment, Gage travels to the castles and caves of Bohemia, through the darkest and most superstitious realms of eighteenth-century Europe, to rescue his wife and son and uncover a mysterious medieval device rumored to foretell the future. Bill is also the author of a number of stand-alone novels, including Blood of the Reich (Harper, $9.99), as well as several environmentally-themed non-fiction works about the Pacific Northwest, including The Final Forest (Univ. of Washington Press, $19.95). THE SHELBURNE ESCAPE LINE - Secret Rescues of Allied aviators by the French Underground, the British Royal Navy and London's MI-9, by Reanne Hemingway-Douglass (Cave Art Press, $18.95. Available in-store only.) The only WWII escape line that successfully evaded infiltration by the Gestapo was the Shelburne Line. Allied airmen, rescued by French Resistance members after being shot down, were taken to Paris where - after intense interrogation - they received new names, identity cards and clothing, before being taken by train to a coastal town in Brittany. There they were hidden in "safe houses" until they were evacuated in the dark of night by a Royal Navy Motor Gun Boat. Eight successful Shelburne missions were conducted between January and August 1944. The book also recounts the experiences of downed Allied aircrews and "ordinary" French people caught up in the war. 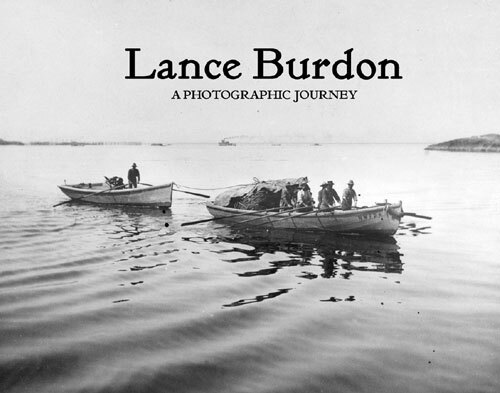 LANCE BURDON - A PHOTOGRAPHIC JOURNEY (Anacortes Museum Foundation, $35.00) A coffee table book of historical images by the pioneering Pacific Northwest photographer Lance Burdon. The collection includes rare pictures from the early days of Anacortes, Fidalgo Island and Puget Sound. The book was compiled by the photographer's granddaughter, Nancy Werner Mathews, and edited by Anacortes Museum educator Bret Lunsford. FAREWELL TO A QUEEN - The Mysterious Sinking of the Pride of BC Ferries, by Don Douglass (Cave Art Press, $15.95). Just after midnight on March 22, 2006, the Canadian ferry Queen of the North crashed into a rocky island four hours after departing Prince Rupert on a routine sailing. Most of the 101 passengers and crew aboard were rescued by local First Nations people, but two people were never found. The ferry's navgiation officer was convicted in 2013 of criminal negligence, but for sailor and author Don Douglass, unanswered questions remain. In this book he recreates the night's events and asks what really happened? THE MAP OF MY DEAD PILOTS - The Dangerous Game of Flying in Alaska, by Colleen Mondor (Lyons Press, $14.95) This is a book about Alaskan bush pilots and the dangers they routinely face as they carry passengers, cargo and, yes, sled dogs, to remote parts of the Last Frontier. Now living in Anacortes, author Colleen Mondor spent four years running dispatch operations for a Fairbanks-based charter airline, and she wrote a graduate thesis on the causes of Alaskan air crashes - so she knows her subject and tells her story with unusual lyricism. 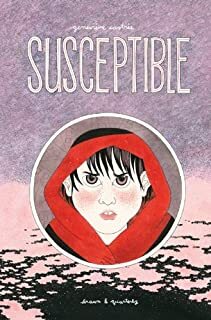 SUSCEPTIBLE, by Genevieve Castree (Drawn & Quarterly, $19.95. Available in-store only). This is a tough but moving graphic novel about a Montreal childhood. Goglu, its young heroine, is a dreamer with a young working mother, a disengaged stepfather and a real father who lives on Vancouver Island. Art, punk rock and the promise of independence guide Goglu to adulthood, amidst the chaos of her daily home life. HUSH, by Stacey R. Campbell (Green Darner press, $12.95). Loosely based on a real-life Anacortes girl, this is a young adult novel about Blakely Henry, a secret princess whose life is endangered when her boyfriend discovers her true identity. Suspenseful and romantic, the story shifts between Anacortes, an elite boarding school on Vancouver Island, and the venerable University of St Andrews in Scotland. SANDCASTLE and Other Stories, by Justin Bog (Green Darner Press, $14.95). Water is the unifying theme in these ten unsettling stories. Warm beaches, languid cruise ships and inviting swimming pools all become menacing swirls of darkness, as the author explores the darker side of the human condition. "A fluid and clever debut!" Justin's second book, The Conversationalist, is available as a Kobo eBook. MAXFIELD PARRISH Painter of Magical Make-Believe, by Lois V. Harris (Pelican, $16.99). Anacortes author Harris, who has published children's books on Mary Cassatt and Charlie Russell, here celebrates the gifted American artist who helped shape the Golden Age of illustration. MURDER AT THE GALVEZ, by Kathleen Kaska (LL Publications, $13.99) Kathleen writes fiction, non-fiction, travel articles and stage plays. This is her third noir-ish 1950s murder mystery featuring the sassy reporter Sydney Jean Lockhart. Kathleen is also the author of last year's bird-themed biography, The Man Who Saved the Whooping Crane - the Robert Porter Allen Story (Univ. of Florida Press, $26.95). CROATIAN FISHING FAMILIES OF ANACORTES, by Bret Lunsford (American Croatian Club of Anacortes, $28.95. Available in-store only.) A pictorial history covering 100 years of the local maritime industry, this handsome volume includes several hundred classic photos of Anacortes and the immigrant Croatian fishing community, with personal narratives and family snapshots. Our top seller in 2011! Bret is also the author of an earlier photographic history of our town, Anacortes (Arcadia, $21.99). THE ARMCHAIR BOOK OF GARDENS - A MISCELLANY, by Jane Billinghurst (Lyons Press, $24.95) English-born Anacortes writer and Master Gardener, Jane Billinghurst here presents a collection of prose and images that explores gardens from many angles - capturing their sensual, spiritual, aesthetic, social and even political dimensions. 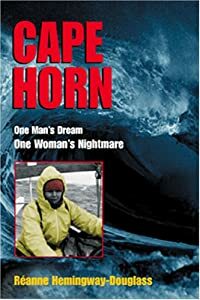 CAPE HORN - ONE MAN'S DREAM, ONE WOMAN'S NIGHTMARE, by Reanne Hemingway-Douglass (Cave Art Press, $18.95. Available in-store only.) His dream: a lifelong goal to sail around Cape Horn and circumnavigate the southern hemisphere. Her nightmare: a driven husband, and then a massive wave south of Easter Island that pitchpoled their sailboat, after which they struggled for 42 days in their crippled vessel to reach the coast of Chile. Both the Douglasses and their marriage survived the experience. This is Reanne's account of their adventure.